Xinhua cited unidentified experts as saying that the case in Nanchang, the capital of the landlocked southeastern province of Jiangxi, was an individual one and the virus had a low risk of spreading to humans. The Chinese Center for Disease Control and Prevention had identified the strain as the H10N8 avian influenza virus, Xinhua said. The World Health Organization (WHO) did not have any information about the virus on its website. A WHO spokeswoman said a statement would be issued later on Wednesday. The woman died on Dec. 6 due to respiratory failure and shock, Xinhua said. She had sought treatment at a hospital in late November. She had visited a live poultry market and was exposed to the live poultry business, Xinhua said, adding that people who had had close contact with her had not exhibited any abnormal symptoms. 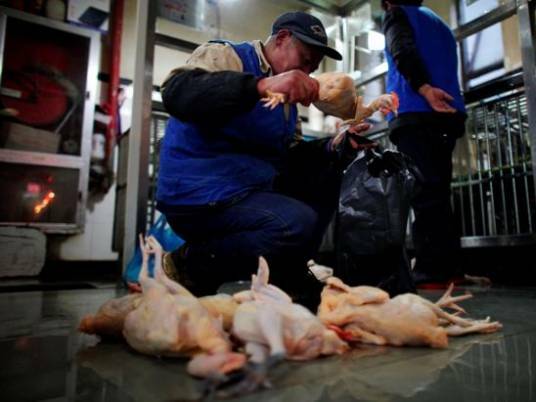 China is at the beginning of its traditional flu season, and has long had a problem with bird flu. The H7N9 strain of bird flu emerged this year in the country and has infected at least 139 people in China, Taiwan and Hong Kong, killing 45 of them. But a scientific analysis of probable transmission of the H7N9 virus from person to person, published in August, gave the strongest indication yet that it can at times jump between people, which, potentially, could cause a human pandemic.